When doing a LS Swap and integrating the GM Pressure Sensor you still need High and Low pressure protection for your A/C Compressor. This crimp in fitting will enable the use of a Binary switch that will protect your compressor. 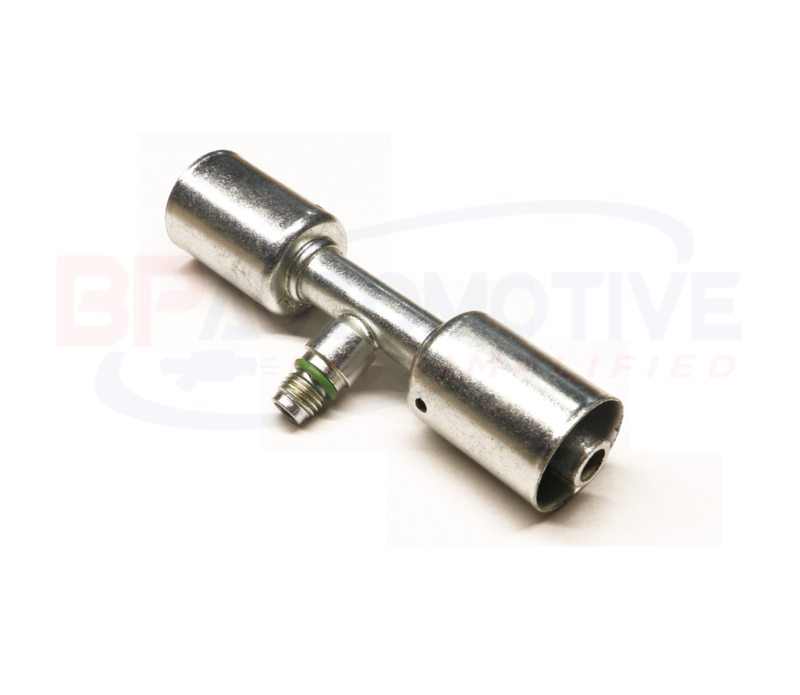 This fitting is for a #8 Standard Barrier A/C Hose that is found on most aftermarket A/C systems. This fitting is only to be used with a binary switch that has 7/16 threads. This will NOT work with the GM Pressure sensor!